As film studios continue to churn out live action remakes of favourite childhood cartoons, it seems no character is safe. It seems even characters that don’t talk are getting the remake treatment. Warner Animation Group (WAG) have announced they are in negotiations for a new Tom and Jerry live action/animated hybrid film. Tim Story, who directed Fantastic Four and Fantastic 4: Rise of the Silver Surfer, among others, is reportedly on board to direct, as Warner Bros. looks to expand its animation division. The studio are also working on a new Scooby-Doo animated film, with Chris Columbus being brought in as creative producer. Story is no stranger to remakes, as he has just finished a reboot of Shaft for New Line. 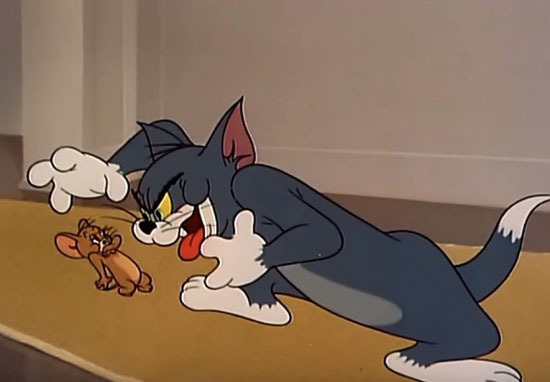 According to Variety, he was talking to executives at Warner Bros. when they mentioned Tom and Jerry, which he immediately expressed interest in and love of the original show. The new live action/animation hybrid is expected to shoot in early 2019. Apparently, the plan is to shoot ‘in the real world’ with animated versions of the infamous cat and mouse duo added in, a bit like Who Framed Roger Rabbit. Sources have also said that, as Tom and Jerry never speak in the cartoon, this version will do the same, and rely instead on their legendary physical comedy.